A few weeks ago, after wondering through the Kasbah, stopping to chat to The Brass Man about a design, tripping over a film crew setting up a faux market place and popping in to the treasure trove that is Galery Laure Welfling . 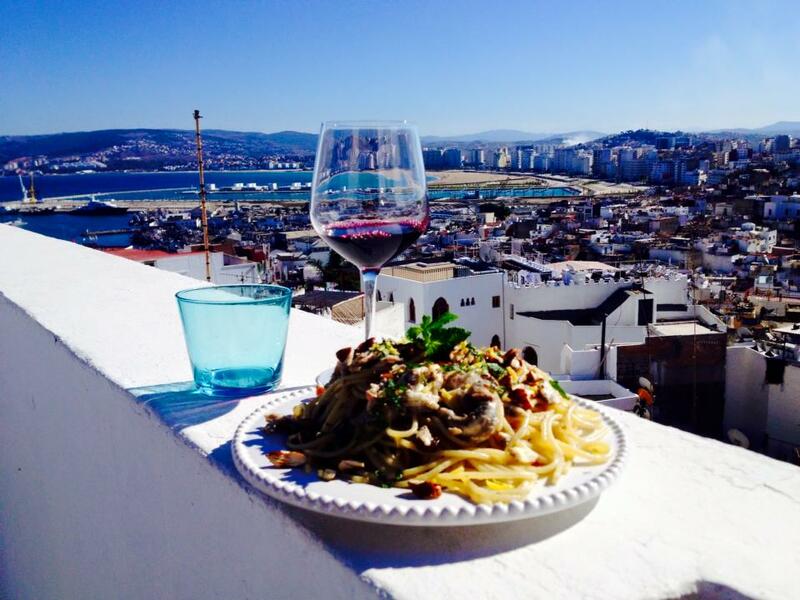 . . we finally found ourselves at our destination in perfect time for lunch! 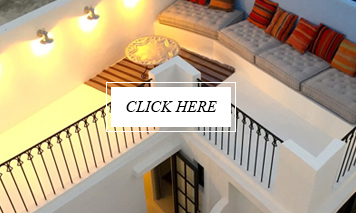 Just around the corner from the Musee de la Kasbah, the owners of MACONDO – having taken their inspiration from the novel One Hundred Years of Solitude – have done a wonderful job renovating and decorating this space. Spread over several levels there are rooms and corners to suit everyone, but it was a beautiful day so we headed up and out to the terrace. Only to be greeted by this fabulous view! 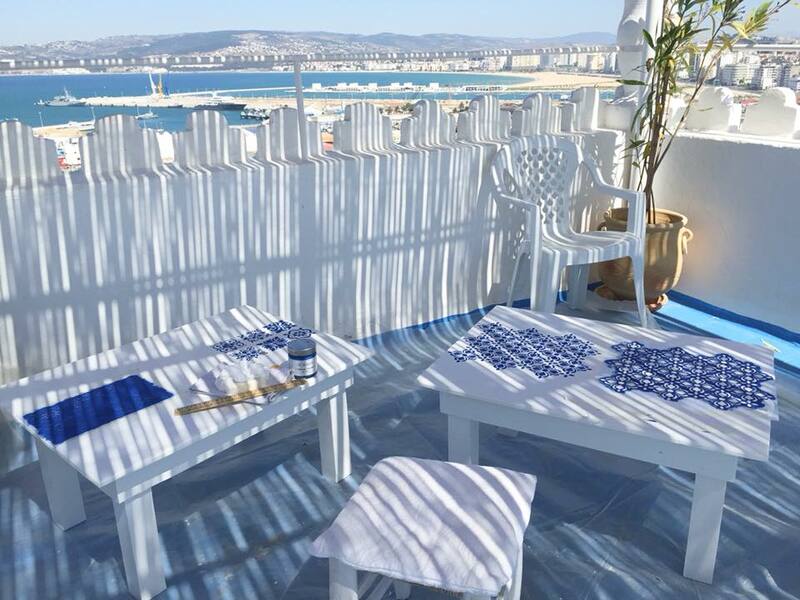 If you know Tangier at all you will be able to get a pretty good idea of the location just from this photo overlooking the Place de la Kasbah and beyond to the Straits of Gibraltar with Spain in the background. 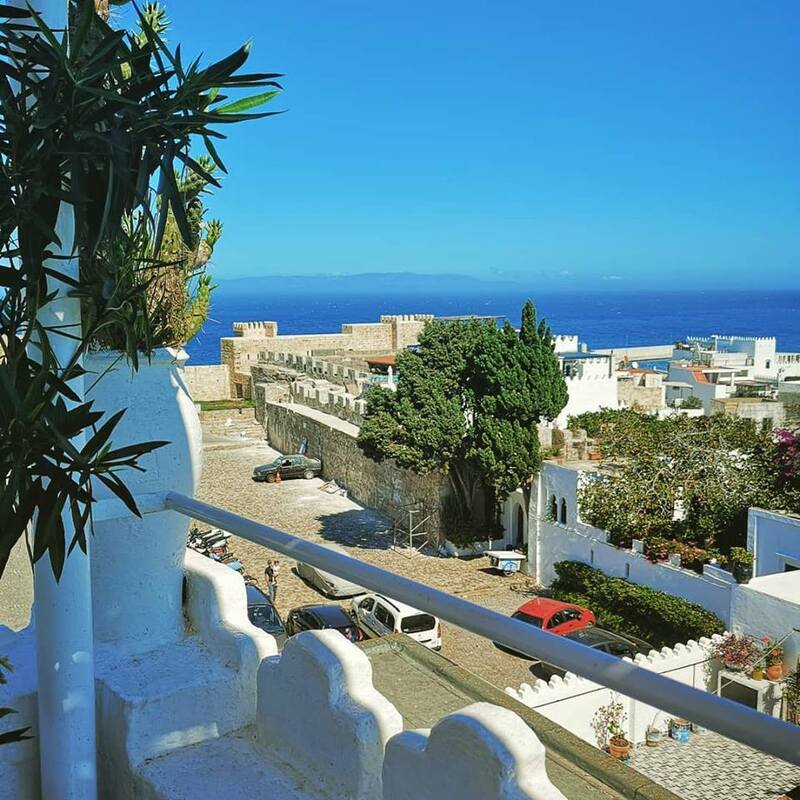 There is literally a 360 degree view from the terrace – with a great view across the harbour as well as over the city behind. Like it says on the label, the food is a mixture of Italian and Mediterranean flavours – I had the tuna which was lovely and fresh and served with a salad. 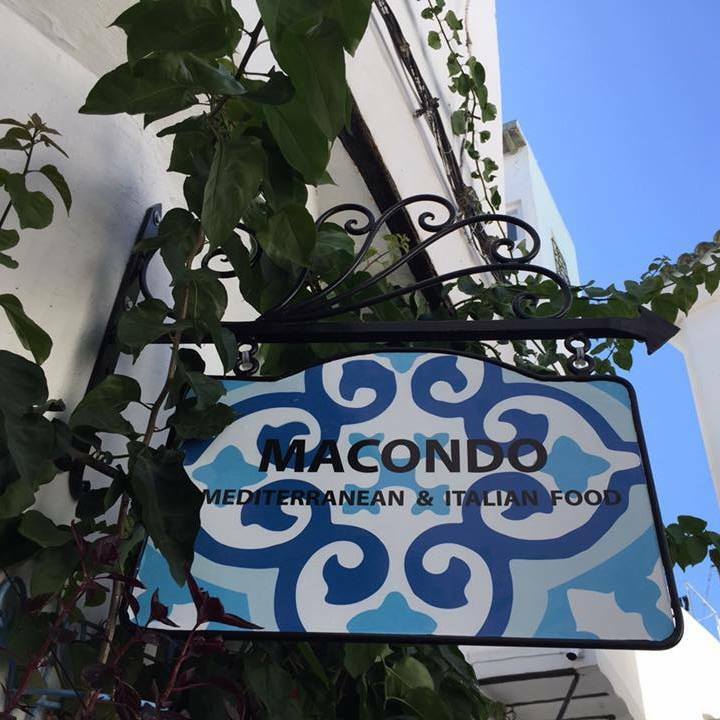 There are also a few traditional Moroccan flavours on the menu, so if you are visiting and want to stay with local flavours, try a Macondo Tagine – I didn’t taste one but it looked good. 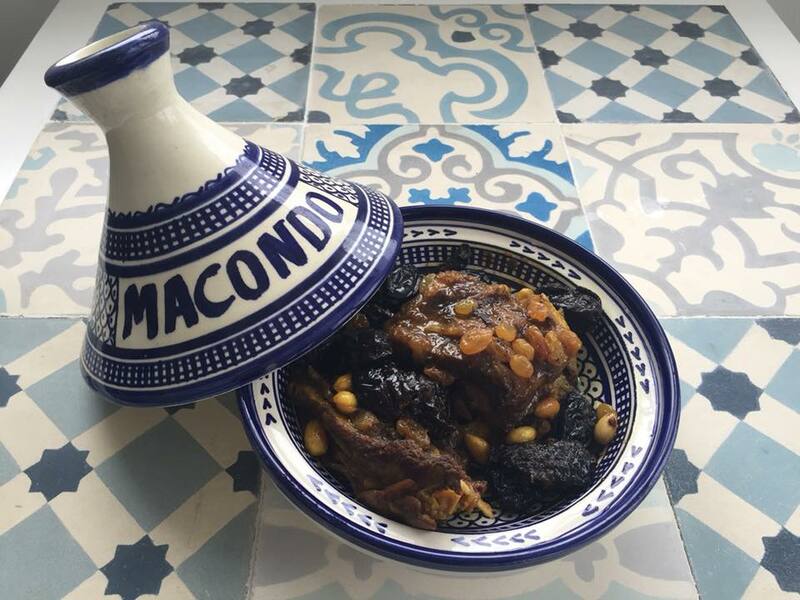 Worth ordering just for the pretty tagine! ?